When Samantha Spear was a teenager, she was obsessed with jazz. She played the saxophone and idolized musicians like Duke Ellington and Louis Armstrong. But when she tried to get gigs at the jazz clubs in her hometown — a rite of passage for young players — she had trouble breaking into the male-dominated scene. Spear says those attitudes followed her into adulthood, and to Berklee College of Music, where she studies jazz composition and performance. One incident in particular stands out. Spear was getting ready to play a jury, a graded performance for a panel of judges who would assess her progress. "Before I even played a note or introduced myself, one of the adjudicators said, 'You should have done your hair today,' " Spear says. "I have naturally curly hair, and I'm not going to wake up at four in the morning and start straightening it. So that was really challenging. And then I had to play and [try to] get a good grade." Such remarks may seem innocuous, but they are emblematic of an industry that often subjects women to sexist comments — or worse. Berklee itself has come under scrutiny in recent years after it was reported the college had quietly dismissed nearly a dozen faculty members accused of sexual misconduct. Though systemic sexism touches all corners of the music industry, jazz is an especially male-dominated field, subject to its own particular set of biases and power dynamics. Enter the Berklee Institute of Jazz and Gender Justice. 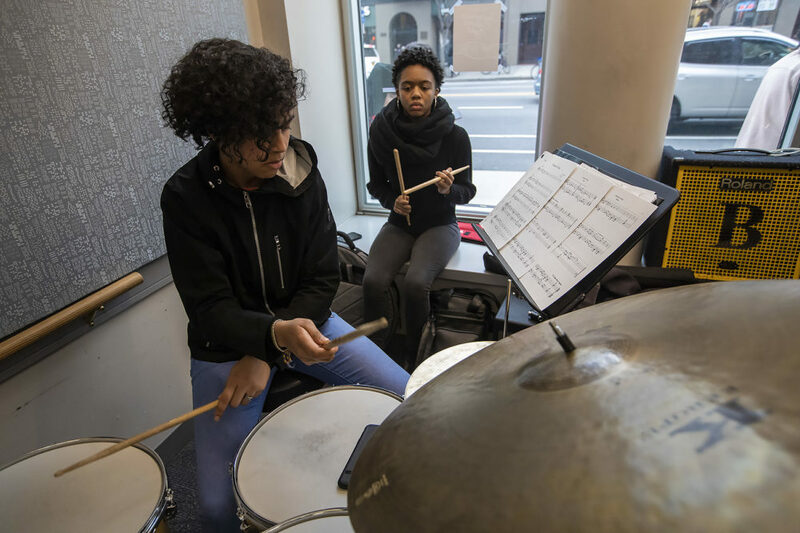 The new initiative, founded last year by renowned jazz drummer Terri Lyne Carrington, promotes gender equity in jazz. "Because it's been such a male party for so long, I think young women feel like they're being invited into a club or into a party," Carrington says. "And I would like for them to feel more like they're throwing the party." It's a massive, complex undertaking. Aja Burrell Wood, the institute's managing director, says that in jazz, even ideas about musicianship are gendered. Take, for instance, a compliment often directed at women: "You play like a man." "It's like this cognitive dissonance," Wood says. "'I can't understand that this amazing, killing sound is coming out of this person who is in this body. So instead of changing my thinking, I'm just going to re-gender this person into something that fits into my framework, which is men can play and women cannot.'" Wood and Carrington hope to make real progress toward gender equity in jazz, at Berklee and beyond. But the institute is still in its infancy. Right now it is mainly focused on creating coursework for Berklee students. 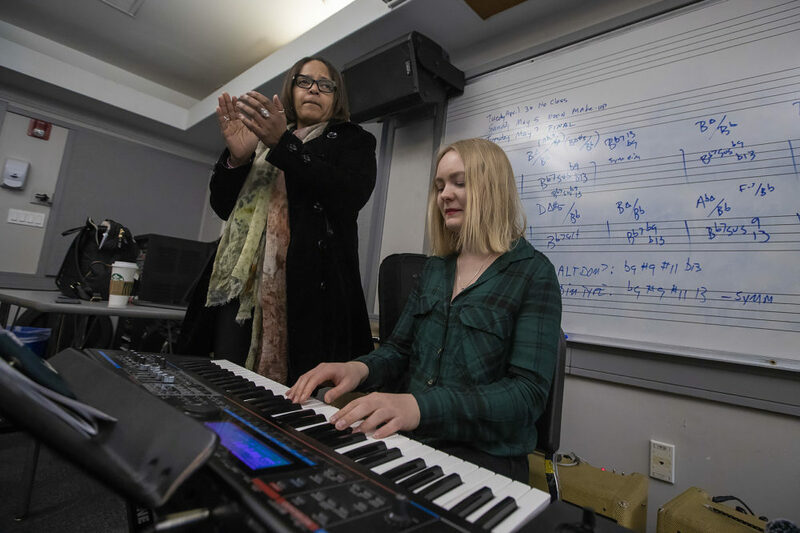 Wood teaches a class on jazz history through a feminist lens and Carrington leads an ensemble that highlights women composers. The ensemble meets on Tuesdays in a small studio at Berklee. 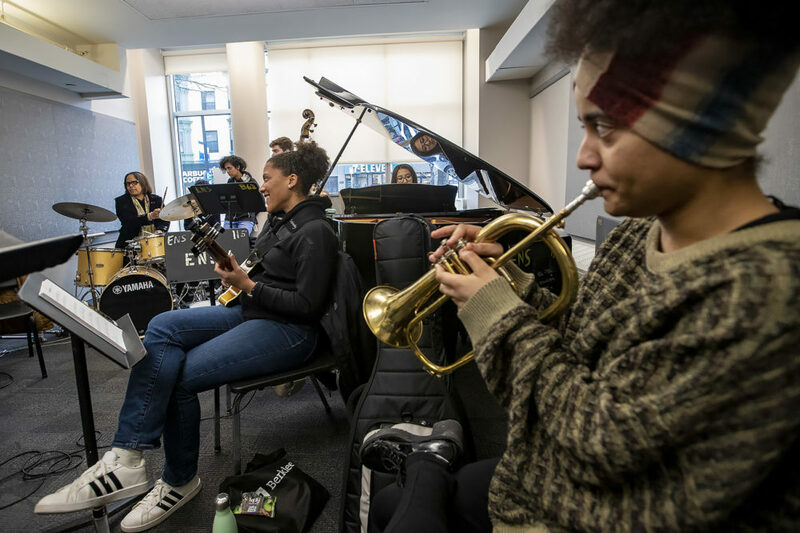 At a recent session, the group was working on a piece by the pianist and composer Geri Allen called “The Gathering,” a mid-tempo groove with a syncopated bass line. The class is open to students of all gender identities, but the majority of people in this room are women — a rarity in the jazz department. Carrington wants her students to appreciate Allen's talent: her virtuosity, her prolific output, her unique sense of melody. That's one of the institute's goals: to shine a spotlight on women's overlooked contributions to jazz. It also seeks to make the genre more accessible, especially for young musicians. 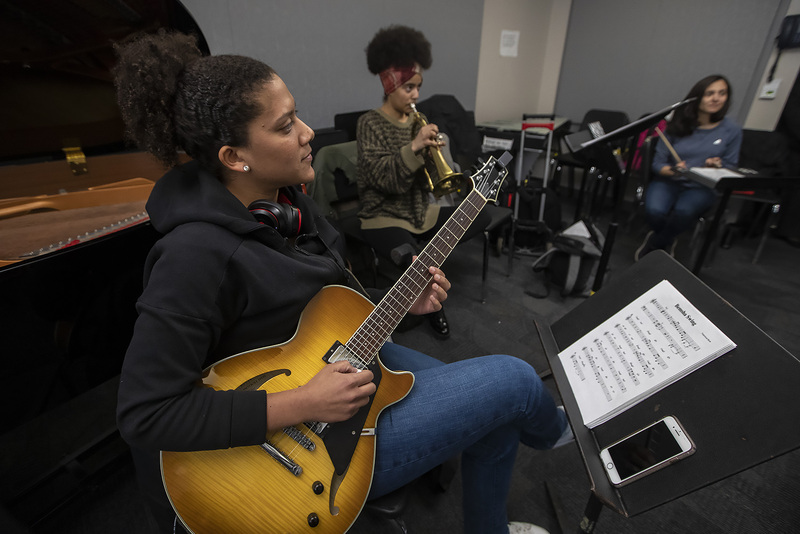 "From middle school to high school you see a drop-off, with young women, particularly instrumentalists, in jazz," Wood says. "High school to college — another dropoff. And even after college — another dropoff there." Wood and Carrington hope the institute can help slow this dropoff rate and fight entrenched sexist attitudes in the jazz world. These are big problems with no easy solutions. But Carrington brims with ideas for what they might accomplish in the future. She says the time has never been more ripe for change. "There’s a desire, there’s an energy building around this — this feels a little different." Carrington says she doesn't expect jazz to reach gender equity in her lifetime. But she feels a responsibility to make things better for the next generation. This segment aired on April 9, 2019. 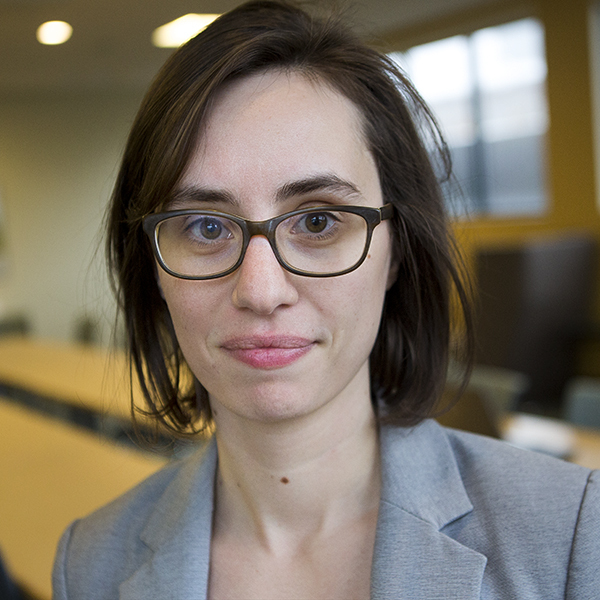 Amelia Mason is an arts and culture reporter and critic for The ARTery, WBUR's arts and culture team. 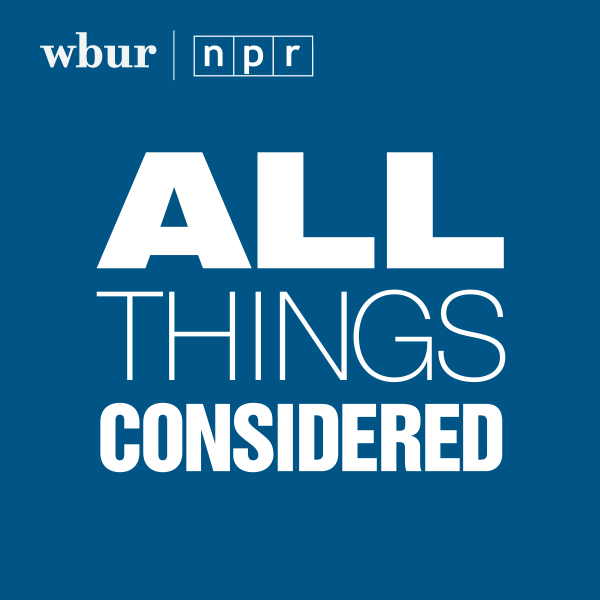 She covers everything from fine art to television to the inner workings of the Boston music scene.